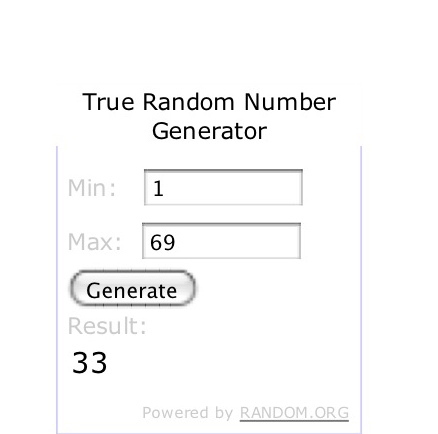 Comment #33, so Sharon is the winner! Congratulations, and I hope you enjoy making Italian Cream cake in these pans. One of the large craft store companies has come out with their own line of bakeware, and I was recently supplied with a set of their cake pans to try, which was most generous. The thing is, I really don't need a set of 9-inch round pans. Since these Celebrate It cake pans were given to me without any expectation of a review, I'm going to offer them up as my next giveaway. See, in all honesty, I don't bake that many 9-inch cakes, but when I do, I already have a set of Magic Line pans, which I love. I can be a bit brand loyal that way. But I know somebody out there must have use for them, right? They're made from rust-proof aluminum, with superior heat control (I'm just copying what they claim on the label here, you know), and are oven safe up to 450 degrees (which is handy, considering that in order to actually bake a cake in them they must go into a hot oven). I can't really speak to their performance as I'm giving them away to one of you guys instead to trying them out. Who knows? I might really be missing out on something. Perhaps they're far superior to the pans I already have. But, as seldom as I bake a 9-inch cake I'm happy to stick with what I know. So, how does one enter to win this lovely set of cake pans? Well, it's easy. First, comment on this blog post telling me your favorite kind of cake. This is the mandatory first entry and must be done for your bonus entries to count. Hey, I have to have some rules, right? Next, feel free to do any or all of the bonus entries, just remember to come back here and leave a comment letting me know. 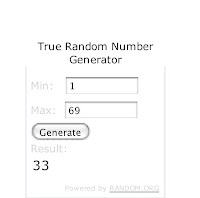 The winner will be chosen by random.org based on comment number, which is how each comment equals an entry. This giveaway ends November 30th at 11:59 p.m. One lucky winner will be chosen at random from all the entries on December 1, 2010. If you're not on Twitter, Blogger, Facebook, or Google, please leave your email address in your comment so I can contact you. Good luck! I am gluten free so I love the Betty Crocker Yellow Cake mix with White Frosting.. yummy! I 'liked' your fb page! I like triple chocolate cake with a mix of half vanilla half milk chocolate icing mixed together. I am now following your blog. I love what your doing with your blog! Is I love all cake an answer? It's cake! My grandmother's German chocolate cake is my favorite! I like plain chocolate cake. I Follow Darla's Cake Blog via Networked Blogs. My favorite is Italian Cream Cake. Yum! my fave cake is chocolate with peanut butter frosting! yum! like Darla's cake blog on FB now. My favorite kind of cake is Italian Cream Cake! Yum..
My favorite cake is a Snickerdoodle cake with Cinnamon Maple Buttercream. I'm a sucker for it every time. Liked Darla's Cake Blog on FB as Michelle J. Commented on your FB blog - Michelle E. J. Left a comment on the Facebook page for Darla's Cake Blog. My favorite is Pineapple Upside Down Cake.